Laminine Food Supplement is a unique form of amino acids or protein that stimulates stem cells in the body to repair damaged or aging cells. 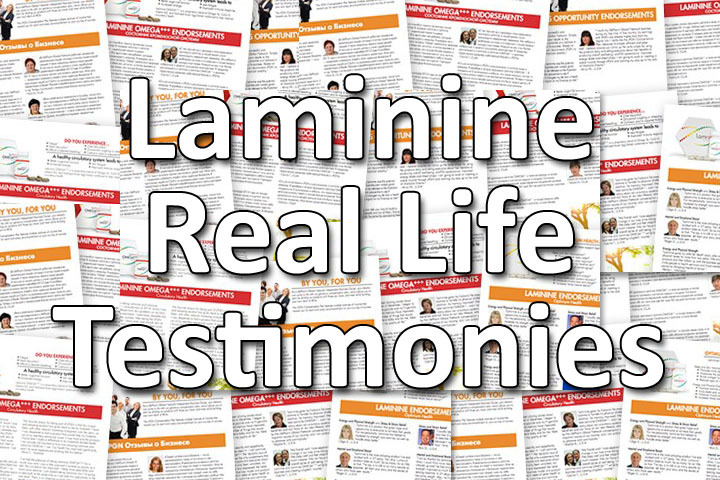 For the past the last years, #TeamAlthea has been gathering first hand testimonials from some of its customer willing to share improvements in their health, during and after taking Laminine. “I have taken Dr. Eskeland’s Young Tissue Extract (Laminine Food Supplement) . . . and I can attest to the fact that it is the most well-researched, safe and effective, natural anti-aging supplement I have personally used in my almost forty years in the natural health field. I truly believe from my own personal experience that YTE is the ‘Fountain of Youth’ in a capsule form. I’ve never felt better in my life.” — Lee Swanson, Age 55, North Dakota. I have learned about the product and tried it. It is only a week but I feel more energetic and my psoriasis is getting smaller. I am so thrilled and want to be your partner in Kyrgyzstan. Please write me soon. Laminine help me to be more energetic again. I just finished my chemo of breast cancer,when my friend introduce me to Laminine, at first i am hesitant. But then i tried because i trust my friend. When i started to take Laminine i just noticed that my sleep was good. I have more energy to work and even in stressful day. Just so expensive like me who just an ordinary mom. Hi, I am one of your customers and would like you advice. I recently had surgery to remove my gallbladder due to gallstones and I am currently recuperating. Can I continue using the Laminine during this time? Most definitely yes, Laminine can help cells and organs recover faster. One of the benefits of Laminine is that it aids faster post-operation recovery. I am having some sleeping problem due to the fact that my thyroid was removed it affects my parathyroid gland. will the product help. I have been getting recommendation from other persons. Yes, Laminine is known to help people with thyroid problem/glands. You need to take the dosage of at least 4 capsules per day.